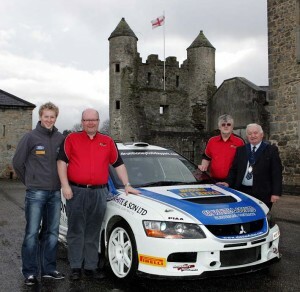 Ulster Rally Moves To Fermanagh. – RallyNews – Patterson Pacenotes Extra's…..
Ulster Rally Moves To Fermanagh. The Northern Ireland Motor Club has confirmed that County Fermanagh will host the 37th Ulster Rally on August 23rd and 24th, with the Rally being based in and around Enniskillen town. The event will once again be sponsored by the Todds Leap activity centre in Ballygawley. “It is fantastic that an event of this magnitude has, with the enthusiastic support of Fermanagh District Council, moved to the home county of the legendary Fisher family who have been, and continue to be at the forefront of international rallying. I am personally delighted that as a native of Co. Fermanagh I have the privilege of being at the forefront of this exciting move to Enniskillen. Fermanagh has enjoyed a prominent place in the history of the Ulster Rally, having hosted the traditional Saturday morning breakfast halt during the 1980’s and 1990’s, but this is the first time that the event has been based in and around the Fermanagh Lakelands. Left to Right: Alistair Fisher,Lewis Boyd (Clerk of the Course) Alan Elliott (Ulster Rally) and Enniskillen Council Vice Chairman, Councillor Harold Andrews. The 2013 Ulster Rally will again host all of the premier Rally Championships from both the UK and Ireland including the British Rally Championship and the British Historic Championship as well as the Irish Tarmac and the Northern Ireland Stage Rally series. A week out and about. Monaghan, Pirelli, Hamsterley & the IOM. Monaghan Stages Rally. Patterson Pacenotes Google Trace.